This article takes a high level look at the master planning process from a real estate law perspective. A ‘look-through’ approach is employed, highlighting how issues at the planning stages permeate the entire development, sales and post handover management of a master planned project and accordingly why such issues may need to be addressed in sales documentation with end users. Although this article is written primarily from the perspective of a master developer it may also be of interest to sub-developers who may purchase plot(s) in a master planned community. This article is regional in its outlook and would be relevant to many Gulf Cooperation Council (“GCC”) countries. GCC countries, like other jurisdictions, operate on the basis of an urban plan. The relevant government authority sets out its vision for development in its urban plan and, dependent upon priorities and resources this plan will be achieved over time through a mixture of private enterprise and government initiatives. Master planned communities are a sub-set of this fairly typical planning outlook. Master planned communities are defined primarily by their scale which gives rise to a number of municipal type issues. While master planned communities may fit within the overall urban plan, typically they are large tracts of undeveloped land carved out from the urban plan and often gifted or sold to a government related entity with the intention that this entity creates its own urban plan in line with the shared vision of the government. Unlike urban planning authorities, master developers are also mandated to develop and generate profit. Naturally this involves the sale of real estate and generally this will take the form of a mixture of sales of bare plots and ‘built to sell properties’. In addition master developers are increasingly planning ‘built to lease’ components to their master communities to form a base of recurring revenues and reduce exposure to the cyclical nature of real estate development. what infrastructure connections are available for this development land, if any? what infrastructure connections are required in order to achieve the master plan? are such connections the responsibility of the transferring entity? will the master developer be required to organise such infrastructure connections at its own expense and effort? will the master developer procure that the infrastructure be provided by the relevant authorities and utility providers within the development land? will this be procured directly by sub-developers from the relevant government authorities or utility providers? Where the master developer is responsible for providing or procuring the provision of the infrastructure it is desirable that there be a measure of certainty, both in terms of what can be delivered by the master developer and by when this can be delivered. To the extent that such certainty cannot be ascertained or the master developer is not responsible for delivering or procuring the delivery of the infrastructure, the master developer may seek to limit any liability or responsibility towards purchasers. Where the master developer does assume responsibility it may also be possible for the master developer to seek indemnities from the relevant authority or utility provider responsible for providing the infrastructure (if any). The master developer may also wish to consider at the planning stages how the infrastructure, once completed, will be managed. If constructed by the master developer, will this be transferred to the relevant authority or utility provider typically associated with the provision of or management of such infrastructure or will this be managed, maintained and administered by the master developer for and on behalf of the stakeholders in the master community? If the master developer retains responsibility, who will be responsible for the ongoing costs? If stakeholders within the master community are to be responsible for such costs the same may need to be recorded contractually in sales documentation and consideration will also need to be given to the legal mechanisms by which subsequent owners may be made liable for such charges. In many jurisdictions, when a party purchases real estate, certain rights and obligations as set out in the urban plan are associated with the plot of land, the building or both. For example, the urban plan may specify the land may only be used for residential purposes and limit activities that may be conducted from the land, the density of development upon the land, built up areas, and site coverage. In a master planned community, the rights and obligations relating to such a plot will typically be settled in the master plan. The master plan will be finalised between the master developer, the urban planning authority and other relevant authorities and utility providers and in particular those authorities responsible for roads and transport, electricity, water and potentially district cooling. The urban planning authority will, in conjunction with the other relevant authorities and utility providers conclude the master plan, including what is commonly termed the ‘land use budget’. The land use budget allocates to each plot within the master community its land use (ie: residential, office, retail or mixed use) as well as the overall size of the development, site coverage and set-backs required for the development. In the GCC such information is generally recorded in what is known as the ‘affection plan’ for the plot. Any plot sale and purchase documentation the master developer may enter into with a sub-developer should accurately convey the rights and restrictions set out in the master plan and land use budget to avoid any confusion as to the rights the sub-developer acquires with the development plot. If the relevant authority responsible for approving building consents is not also the party ensuring compliance with the affection plans, mechanisms may also need to be put in place to ensure that the affection plans are complied with, as any breach of the requirements set out in an affection plan (for example where the sub-developer increases the size of their development) may have a detrimental effect on the master developer’s land use budget, for example by reducing the amount of area available for construction on other plots. A potential pitfall for master developers and sub-developers lies in the manner in which the planning process is conducted. Urban planning authorities tend to focus on methods of measurement that are meaningful from a planning perspective. Commonly in the GCC this is ‘gross floor area’ a measure that includes all circulation and suite areas but excludes parking areas and plant rooms. This methodology is useful from a planning perspective as it gives a meaningful figure from which the urban planning authority and other stakeholders can conduct their assessment of occupancies and likely resources required. From a developer’s perspective however, ‘gross floor area’ may not be a meaningful measure and developers tend to focus on, and sell or lease on the basis of, saleable or leasable areas as these measurements align more closely with what the market is interested in and accordingly the developer’s revenue projections. When selling either plots or units it is important that the methodology of measurement is clear, to avoid disputes, and that any conversions of areas quoted using one methodology to areas using another methodology are done accurately and, to the extent required, clearly show the methodologies employed and therefore how the conversion has been arrived at. Care also needs to be taken to adhere to any regulations or requirements of relevant authorities (in particular land departments) that prescribe any measurement methodologies. In addition care needs to be taken when attaching plans and other data to sales documents. Stacking plans, massing plans, site plans, efficiency calculations and the like may be useful from an information point of view but to include them where inconsistent with the methodology of area calculation based upon which the purchaser is paying the purchase price, may give rise to complex reconciliation exercises unless the reasons for their inclusion are clear and statements as to how they are to be interpreted are also included. Finally, it may be necessary to employ differing methodologies of measurement for different purposes. For example, the calculation of service or community charges may not follow the ‘gross floor area’ or ‘saleable area’ methodology in all cases and the method to be employed will need to be clear to the purchaser, to avoid purchasers claiming set-offs in service or community charge payments based on discrepancies in areas quoted or delivered. 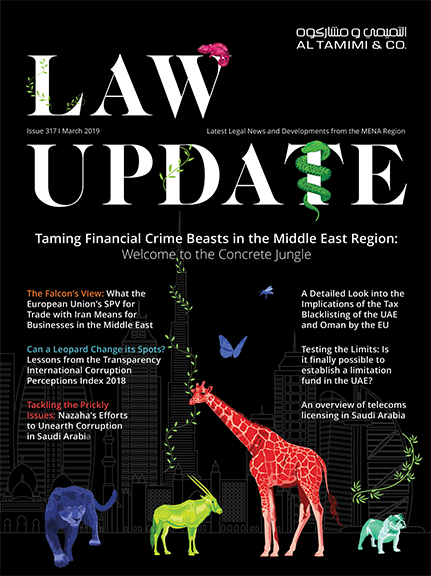 This article approaches the issues associated with master planning from a high level and it is important to remember that whilst the issues raised in this article will have some application in many GCC jurisdictions, important differences arise in each GCC jurisdiction in terms of customs, practices and regulations. It is important to bear in mind however that master planned communities share distinct issues and risks and significant benefits for master developers can be obtained through a structured approach to such issues.